This is the most amazing editorial I’ve seen in a long time. 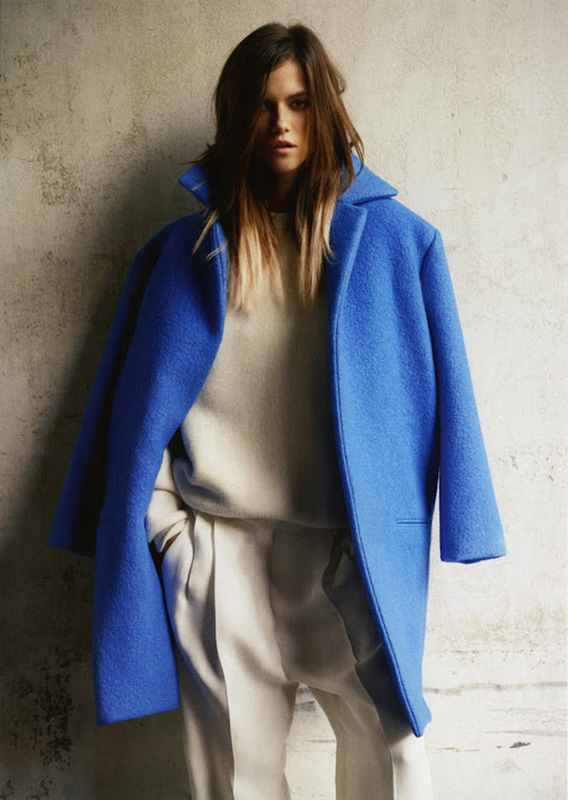 Love the coat, the wide trousers, the shirts – just the effortless chic approach. Kasia Strauss is shot by Knoepfel & Indlekofer and style by Veronique Didry for the September issue 2012 for Vogue Russia. 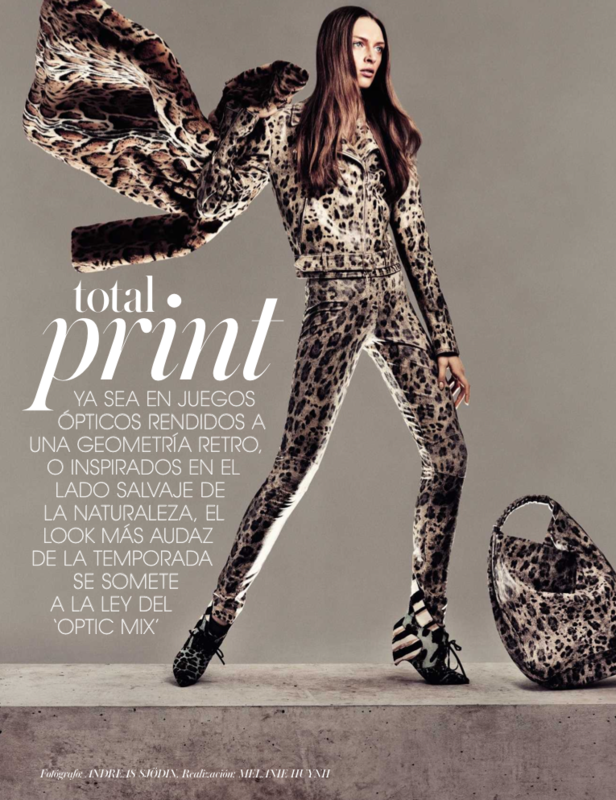 Daga Ziober in the editorial ‘Total Print’ in Vogue Spain September 2012 by Andreas Sjödin and styling Melanie Huynh. Gorgeous editorial, ‘Haute Couture’, featuring Vlada Roslyakova in the Spetember issue of Vogue Netherlands 2012. How amazing aren’t the Margiela look at pic number 2? Totally amazing and so effect full with that studded mask. 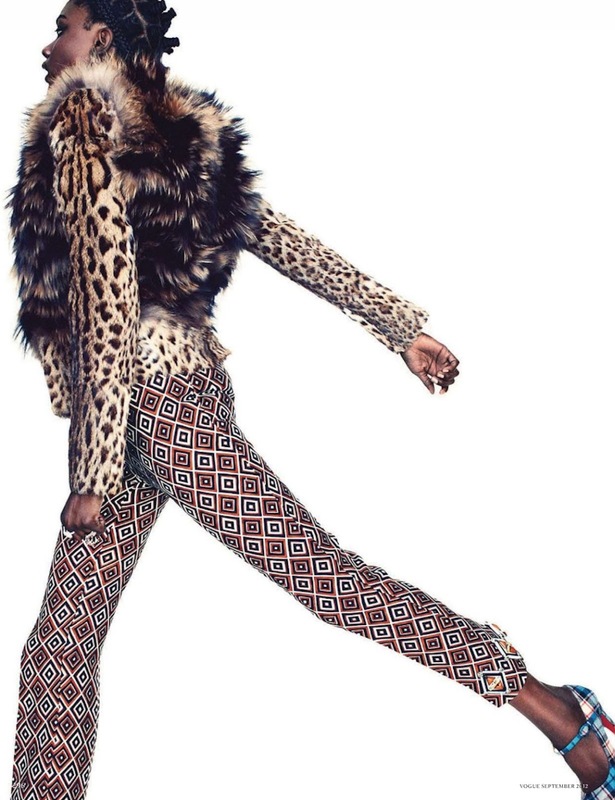 The editorial is photographed by Alique and styled by Martien Mellema. Some fab pictures from the editorial ‘Tough Edge’ in the latest issue of Vogue China September 2012. Catherine McNeil is photographed by Terry Richardson and looks absolutely amazing in all the Céline pieces. I am very much in love with this editorial! I love the styling and the models! True inspo. The editorial ‘Take it easy’ is featured in the latest issue of Voge Germany – the September issu of 2012. The models Jasmine Tookes and Cora Emmanuel (among others) are photographed by Greg Kadel.